Not only do we have global warming to contend with, but the ground below our feet is now changing in a way that will alter the planet permanently. Kenya is at the forefront of these tumultuous developments. 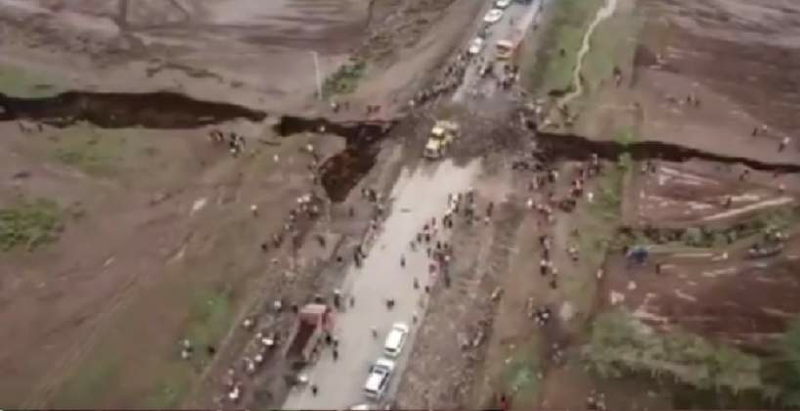 As reported by NTV, a large section of the Nairobi-Narok Highway has caved in, swallowed up by the ground after a huge geological event. Fortunately, no-one was seriously hurt. But the incident does have more far-reaching consequences. The Somali and Nubian plates - tectonic land masses that Eastern Africa sits on - are drifting apart from each other at a rate of a few millimetres each day. It may not sound disastrous, but this had lead to the development of a volcanic fault line in the Kenyan region. And will eventually see Africa split. What caused the Mai Mahiu collapse in Kenya? The area had been subject to heavy rains in the build-up to this catastrophe. However, NTV report that the weather has had "very little effect" on the road collapse. They state that the earth's crust is solely responsible for the dramatic change. This is the second time in five years that a crack this size has opened up there. Earlier in the week, engineers were able to backfill the hole left by the tectonic activity. The road has since re-opened for public use, but that doesn't mean the issue can be pushed underground. Where is the Horn of Africa? 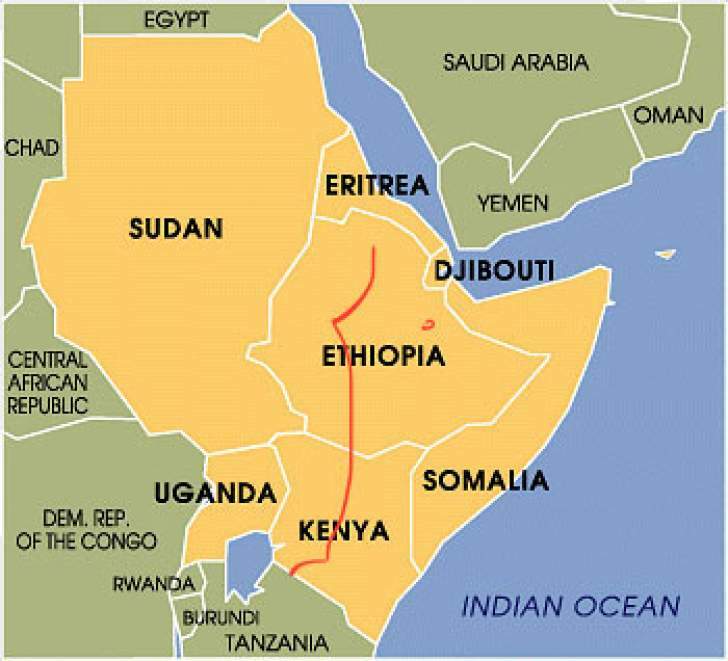 Djibouti, Eritrea, Ethiopia, Kenya, Somalia, South Sudan, Sudan, Uganda are all part of the East African region. As the land it occupies stretches away from the north of the continent, its appearance resembles that of a horn on Africa's "head". It may yet take millions of years for the Horn and the rest of Africa to separate, but events like this one will constantly re-occur whilst the plates drift apart.